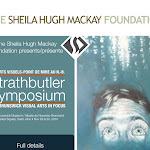 In conjunction with the 20th anniversary celebration of the Strathbutler Award, the Board of Directors of the Sheila Hugh MacKay Foundation was proud to present a two day symposium dedicated to examin the current state of the visual arts in New Brunswick. The SHMF is mandated to promote excellence in the visual arts of New Brunswick and this symposium was to provide guidance in our continuing stewardship of Sheila MacKay’s legacy to the province of New Brunswick. The Strathbutler Symposium was indebted to artsnb for providing simultaneous translations for all sessions. 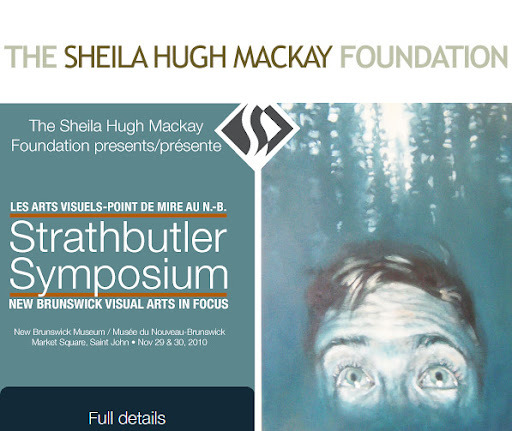 The Sheila Hugh MacKay Foundation presented “Strathbutler Symposium: NB Visual Arts in Focus” as a service to New Brunswick Visual Arts and all New Brunswick visual artists. The board of Directors gratefully acknowledges the generous support and participation of the New Brunswick Museum and artsnb.